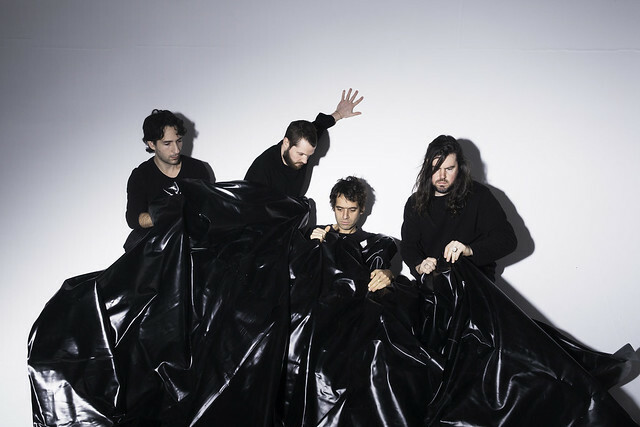 For Felt, Suuns returned to Breakglass Studios, where they recorded their first two albums with Jace Lasek of The Besnard Lakes, but took their time over several months to make the new record. John Congleton, who’s literally everywhere, flew from Dallas to mix the album. “Scorched techno-punk blurs to smiley-faced synth workout blurs to narcotic psych comedown. Nothing is what it seems, and no one musical element is in total command. Low-pitched synths flower and undulate and evaporate like storm clouds in spring. Drums rustle and tumble as single guitar notes drone in slinky repetition, smeared with cotton-light manipulation,” said Ryan Burleson in describing the results for Pitchfork.